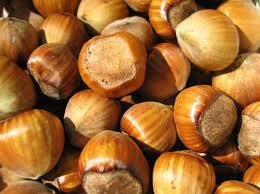 HAZELNUT OIL – extracted from hazelnuts. This “non-oily oil” is light, and easily absorbed, with astringent pore-reducing properties, which makes Hazelnut Oil the ideal oil for those with excessively oily skin. Rich in Vitamin E antioxidants & Omega 9, which hydrate skin that is lacking in water. Strengthens capillaries due to its astringent action. One of the few oils to not leave an oily after-feeling. A few drops, massaged into damp hair, will leave hair glossy, not greasy. Pour this oil over your food, for both internal and external deep moisturization.